Residents are speaking out after watching the destruction of their communities during the gas explosions in Merrimack Valley. One week after gas fires and explosions rocked the Merrimack Valley, first responders and residents in three Massachusetts communities are telling their stories about what they experienced. Meanwhile, some residents learned Thursday that their gas service may not be restored for several months. Emergency crews were trying to help as many people as possible. At the Andover Police Department, the 911 calls started coming in late Thursday afternoon as dispatchers Katie Ramos and Melissa Kurkjian were about to leave for the day. First, they got a call about a fire at a restaurant and then a call for a house fire, which they said was unusual for Andover. When the calls did not stop after that, they knew something was wrong. “I just remember looking around the room at one point and seeing every single phone we had light up and we had no idea why this was happening or what to tell the town besides to leave,” Ramos said. Ramos and Kurkjian said the toughest part was figuring out which resources to send where when the need seemed to be everywhere. A week after gas explosions rocked the Merrimack Valley, some of the many first responders who were in the middle of the chaos are recounting their experiences. Nancy Wright of Andover frantically dialed 911 after she and her husband, Brian, saw a fire in their neighbor's basement. "I was scared to death," Brian Wright said. "I mean, it was bright, blazing. I said, 'It's going to go up like a tinderbox.'" He ran next door to tell his neighbor, Shawn Harty. He was unable to find him immediately, and as the fire grew, so did Nancy's fear while she was talking to dispatch. "I couldn't breathe. It sucked the air out of me. I went back outside, went in, started banging on doors, yelling 'Fire,'" he explained. He finally found Harty, who had to get a fire extinguisher and use it. 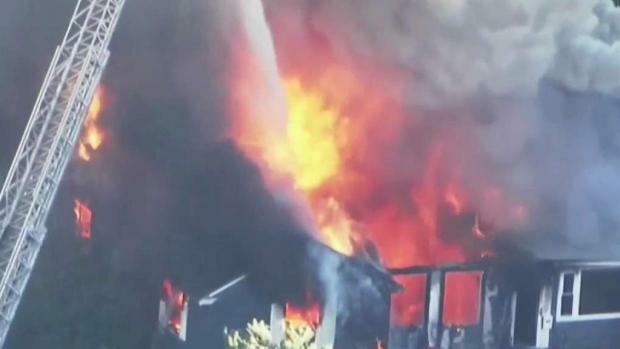 Fire officials say the quick actions may have saved the house. 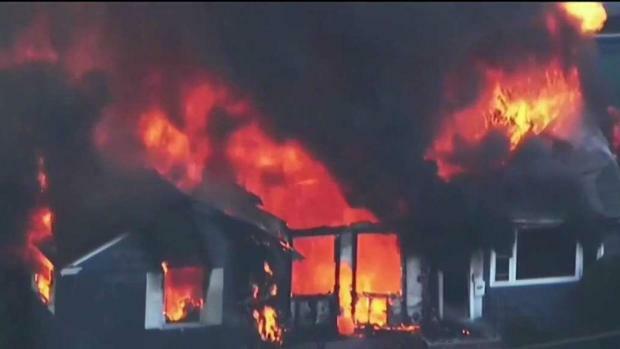 Hear residents call 911 to report the series of gas explosions last week in Merrimack Valley. Columbia Gas said Thursday that while gas service is being turned back on for customers who are not on the system impacted by the incident, restoration is expected to take several months for those on that system. In North Andover, firefighters responded to 114 calls in an 8 hour period. They had 44 firefighters respond to what they have since confirmed was 33 fires. Lt. Michael Beirne responded to a half dozen of them. “At one point, we’re crawling through a basement maze, past boilers that are spewing burning gas to reach a gas meter so we can shut it off and save a house. There was no hesitation,” Beirne said. North Andover's Deputy Fire Chief Graham Rowe said it was the first time in his career he put out an all department callback, meaning all hands on deck. He said the mutual aid coming from as far away as Manchester, New Hampshire was a lifesaver. 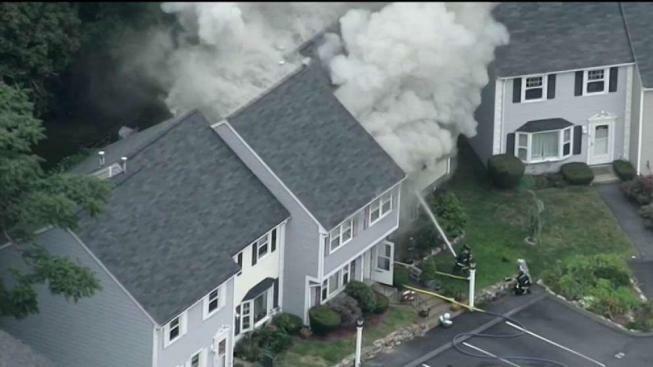 They had no civilian injuries in North Andover. In Lawrence, they treated 13 patients at Lawrence General Hospital. Two of them were critical. The hospital had the gas turned off as a precaution and at one point ran on generator power due to the incident. Director of Emergency Services Kim Moriarty said the entire staff felt the duty to come in and help. “I was blown away by the staff that rerouted themselves 20 times due to the road closures and the staff that didn’t know where their families were and were affected by the tragedy,” Moriarty said. One week later they see the signs of appreciation amidst the devastation. Cards and donations are pouring into their departments as the public says thank you. “We appreciate everything they do for us, that’s why we do what we do for them,” Rowe said. As proud as they are of what they were able to do, many first responders said they will still study the response in the coming months to try and learn what they can do better.